I think it's from the 1990's. Any idea what a fair price would be? sorry forum isn't letting me post pictures for some reason. Saying im not allowed to post URL's until I have 10 posts even though no URLS are involved. Good Morning and welcome to the forums. 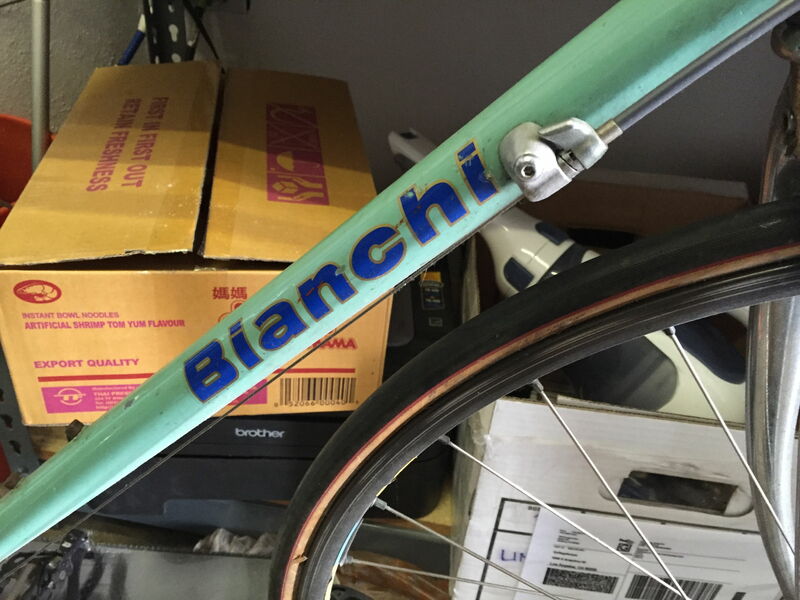 Bianchi made bikes from around $400 up several thousand dollars so without much more information and pics it is hard to say. 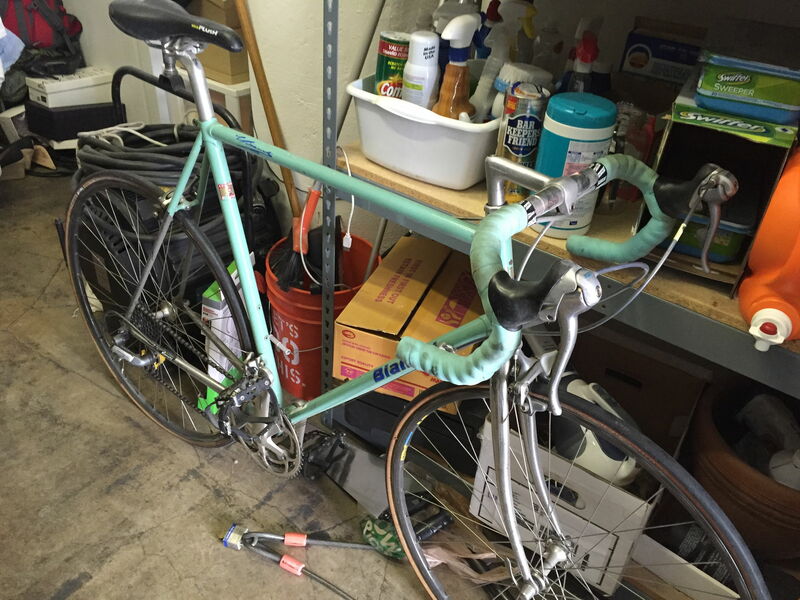 Your location and willingness to work with a buyer on getting the bike shipped plays into value too. Go to some of the other forums and say Hi and ask a mundane question until you have 10 post then put your pics up. It is set up this was to foil spammers and miscreants. I need to learn how to do that. Is that an SBX frame? 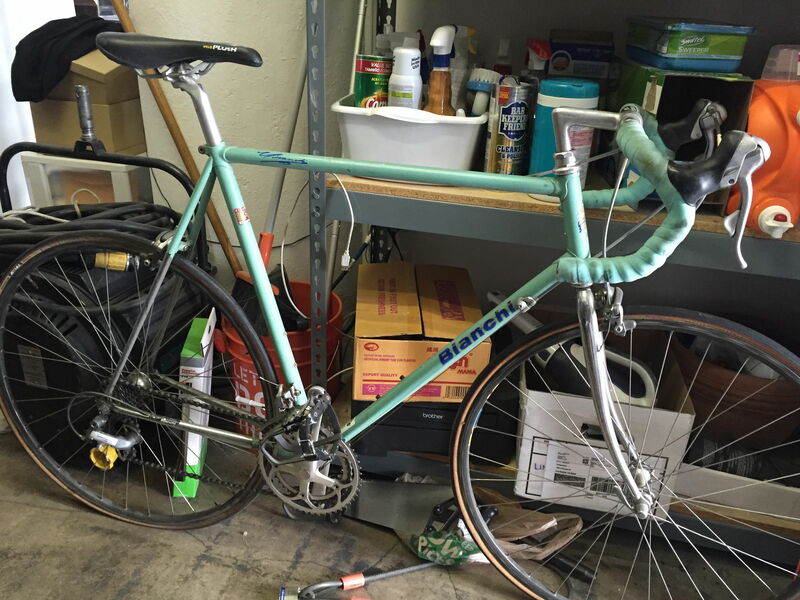 Considering the present condition, that is bike appears to need a full overhaul and probably a new chain maybe cassette, whatever is going on with the tires, not to mention new bar tape I would say somewhere around $400-500+/- , I'd personally pay closer to $400, Are you willing to ship it? Unless your in a hot market like NYC or LA selling it local pickup only my suppress the price further. The SBX frame came out, in the US catalogs, in '92 and disappeared after '93. 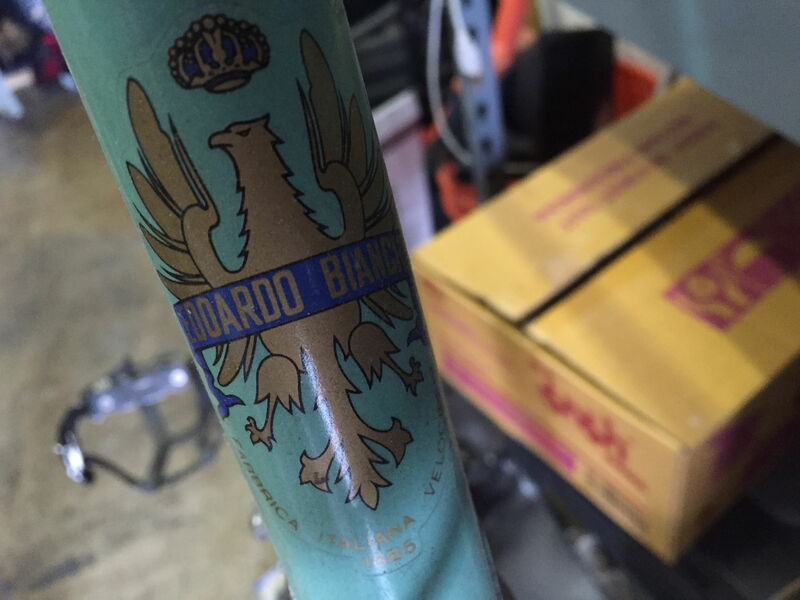 It was offered as a complete bike or a frame/fork only and was the lowest of the famed Reparto Corse offerings. That's lovely, would be fantastic on the road. What's the buyer asking for it? I wish there were a few examples like that around here. That’s the bike in those photos. Just been sitting for a couple years. I live in downtown Los Angeles. but what is the tubing? And size? not sure sorry I’m not an expert. 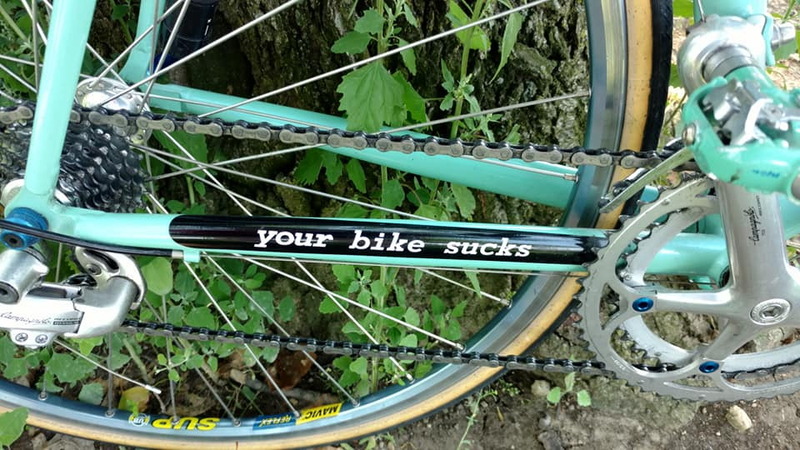 The tubing of the frame or the tires? the frame tubing I can’t read the tubing sticker. 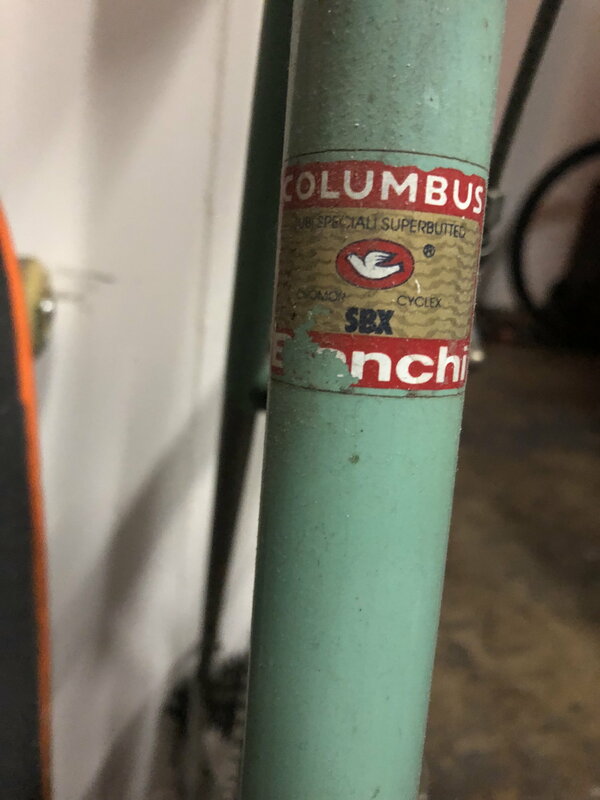 It is obviously Columbus but which tubing? 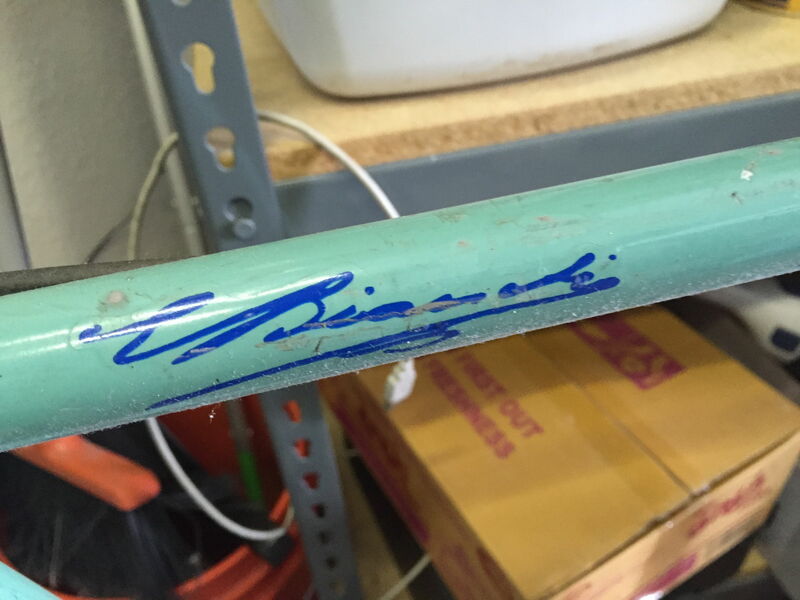 Any idea what size size the frame is? Someone should be arrested for decal placement. Is it safe to ask 400 to 500 USD in Los Angeles for this? I’ll be willing to ship also. 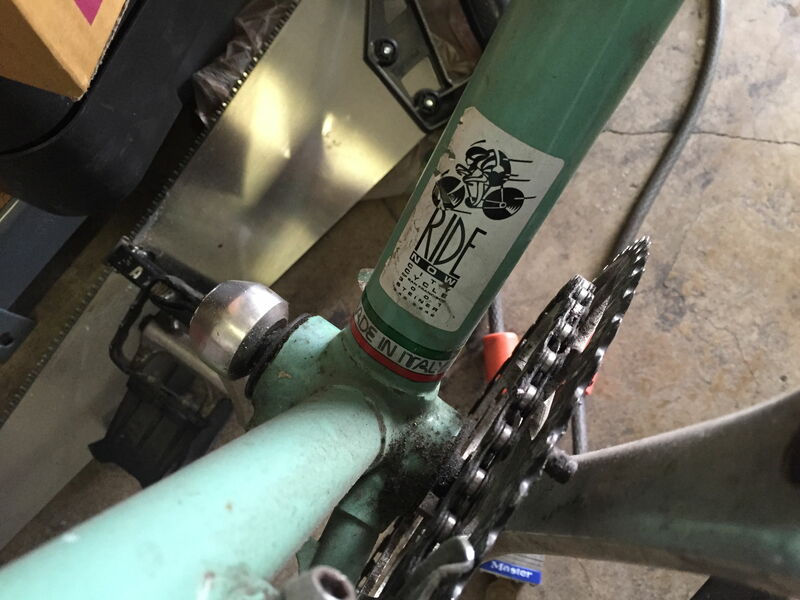 Am i the only one that thinks all the decals are replacements and incorrect?...except for the signature decal...the headtube decal is over the near nonexistent clear coat. anywho I wouldnt pay more than 200 for this bicycle. But that's just me. 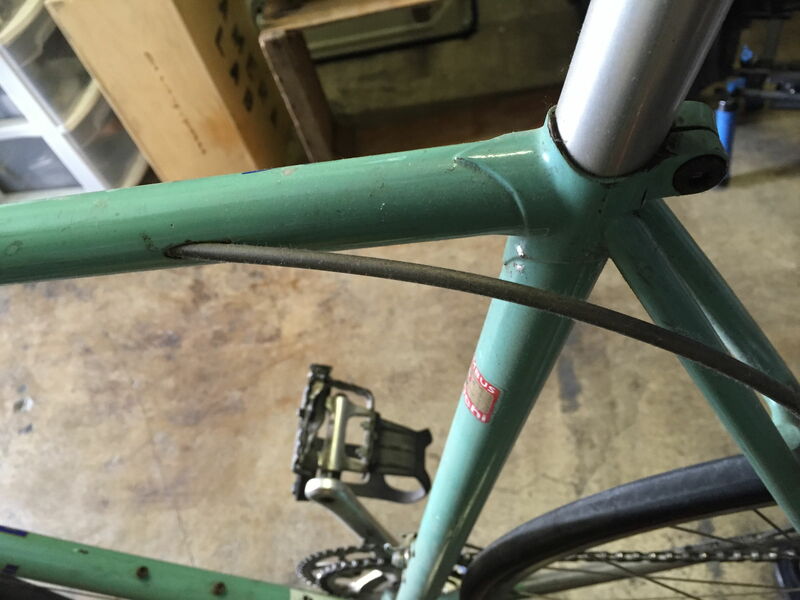 What is happening with the seat stays? They should be chrome from the brake bridge to the dropout, right? the chrome part looks black and the paint is really chipped around the brake bridge. ...or is that an illusion and its actually beautiful chrome? i cant imagone paying $200 for it based on what i can see in the pics. 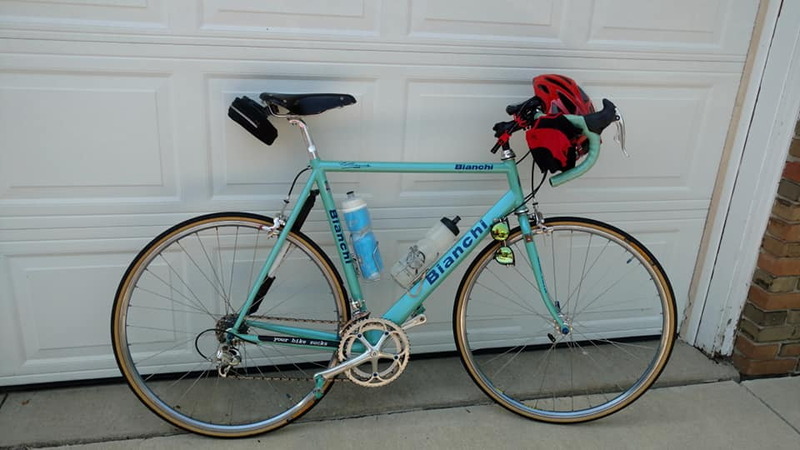 I get it- celeste color means there is some emotional markup, but its a really dirty bike that needs new tubes, tires, tape, bearings, grease, brake pads, cables, housing, and even after all that you have a bike with rough paint and rsx components. if it's worth $500 now, it'll take another $200 to get it going, and you have a $700 bike with rough paint and rsx. That doesn't seem like it would be appealing to many. Alright. I mean it’s pretty clean. It’s just been sitting inside my house collecting dust so it’s not a very dirty bike. Was in perfect shape before it sat for 7 years (indoors). I would suggest using a nice soft cloth, like an old towel or t shirt, and wiping the frame down with some lemon pledge and try and get most of the dust off. If you have a pump air up the tires. List it on CL or facebook market place for $500 and see how it goes. I do agree with what has been said, this bike looks like it needs a good overhaul and maybe new tires, tubes and some other things. 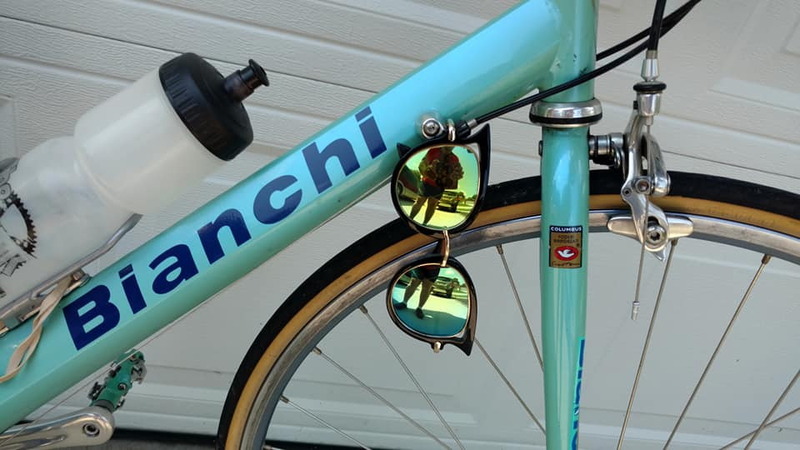 If I hadn't recently bought a SBX frame I'd be trying to score this one, but not for much over $250-300 because of the work I feel it needs. Based on it's placement, I wouldn't take the tubing decal as being definitive. It's definitely a replacement and may be incorrect. It appears to be one of the better, mid-1990s models and it's definitely Superset II but there's not enough to go on for a positive identification. T Mar what decal are we all talking about? I’m interested and I’ll take a closer look.